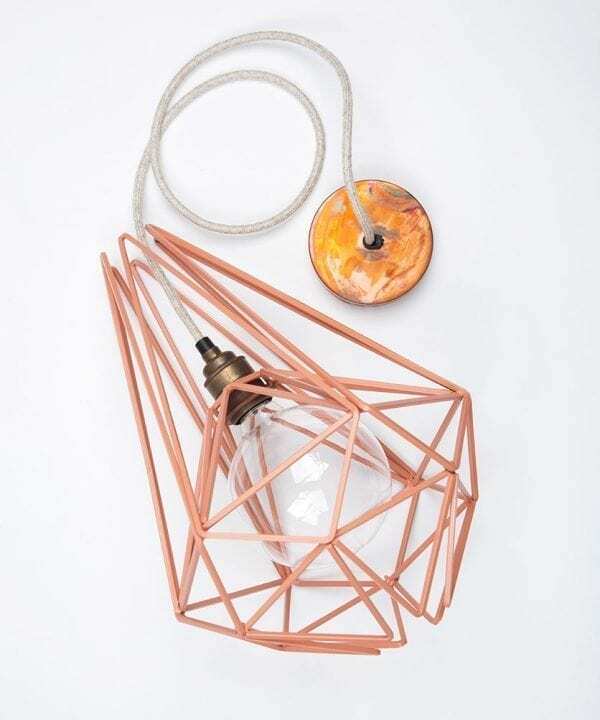 Our Pink Chai cage table lamp is possibly the most versatile table lamp ever. Full stop. Perfectly proportioned, you can pop it onto any surface or squeeze it into any nook and cranny. 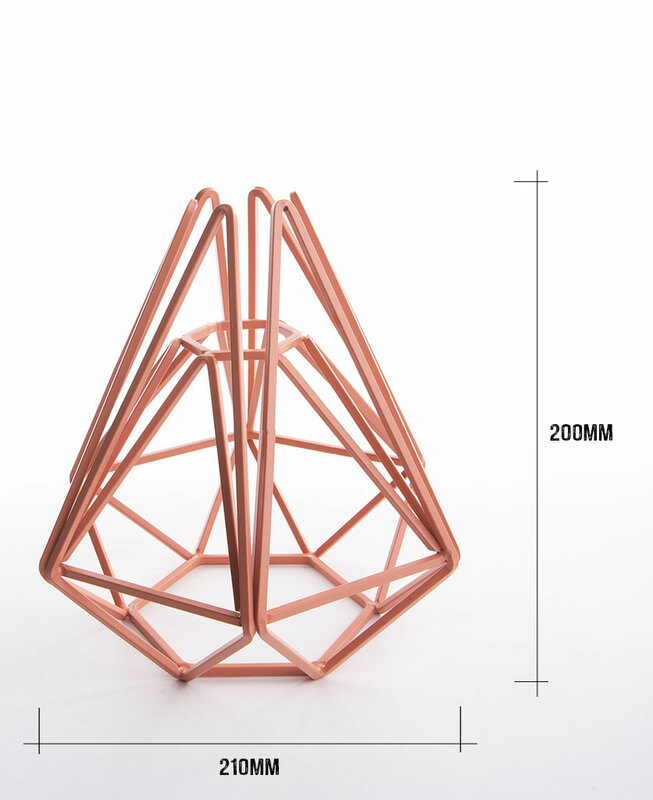 Try nestling it amongst your favourite nik naks on a shelf to create a gorgeous glow in your bedroom or living room. We think this lamp would make a great bedside light and would look fantastic against a lovely muted wall. To tie in with the linen cord, add some natural textures with linen bedding in earthy, neutral tones. Please do be aware however that you may not ever want to leave this room, and that Dowsing and Reynolds cannot be held responsible for extra long lie-ins! If you’re feeling more adventurous, try pairing the Pink Chai with deep green paint – it will really make the pink geometric lines leap out and shout ta-dah! To complete the look, wouldn’t it be nice to have just a little bit more of the stunning tarnished copper around your room. Have a look at our range of switches, dimmers, and sockets. Think of them as crossing the T’s and dotting the I’s. 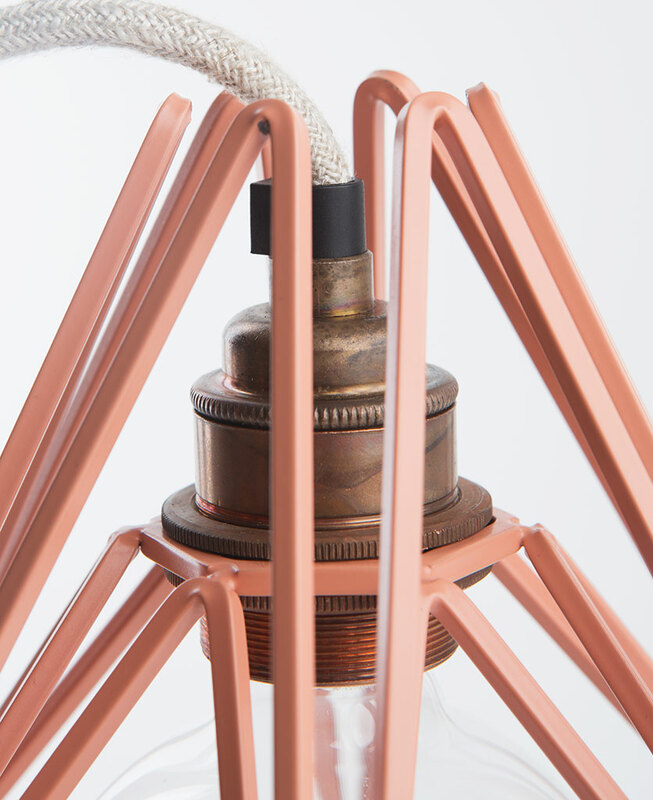 Each lamp is fully assembled with cage light shade, a tarnished copper threaded E27 bulb holder, a 3m length of linen fabric cable, clear inline switch, clear 3 amp plug and a globe hidden filament LED bulb in either clear (ambient) or frosted (brighter).